it's a lonely plate because we keep eating all its food and then blogging about it. 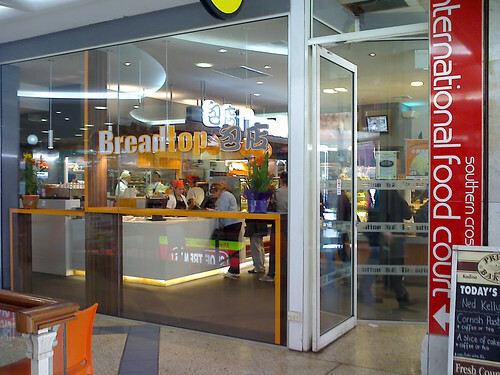 The opening of the original Adelaide location was the subject of my very first post on The Lonely Plate back in April 2010. 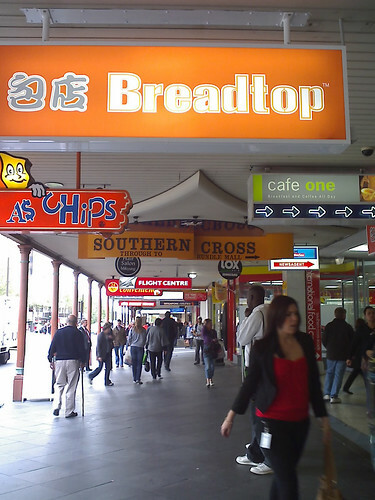 I'm pleased to write that Adelaide's second Breadtop location opened this week on King William Street at the entrance to Southern Cross. 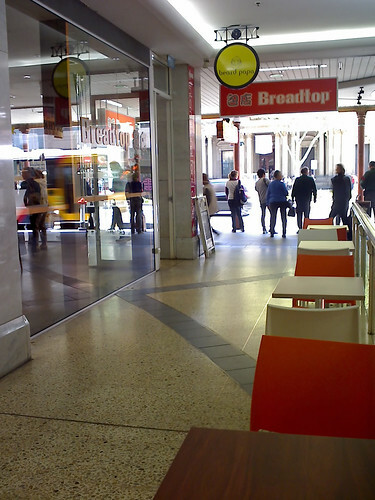 Both times I've visited the new store, it was full of students and business people taking advantage of its location near Rundle Mall. It's more accessible than the market store and seemed to have a better selection of baked goods. I had walked by the old Beard Papa shop many times to check the progress of the construction. I have to say this location looks fantastic. It's also very dangerous that it's in walking distance from where I work. Moderation, Nat. Moderation! Not a huge amount of seating at this location, but there are some extra chairs and tables just outside the doors as you walk into Southern Cross. Hopefully the King William location won't be the last to be added in Adelaide. It's really handy to have these reasonably priced buttery baked goods close by. They are a common sight across Japan and I have seen a few in Singapore too. 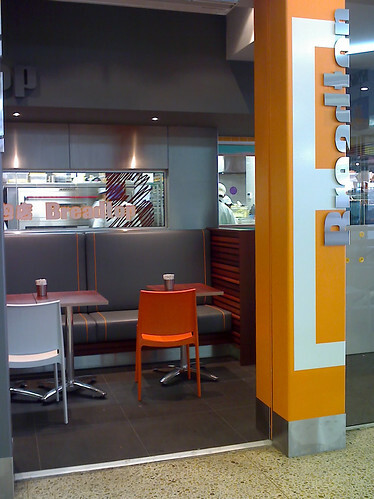 In Japan they can be found in most big department store food courts which are normally in the basement. I have seen these stores in some train stations as well. They are awesome if you don't speak Japanese because you just pick out what you want and pay for it - no conversation required! That is really cool. Thanks for the info Kelly! I love this place-thanks bread T, great blog about great food!